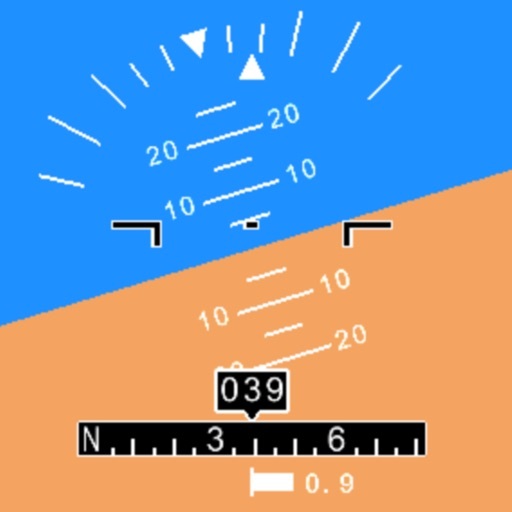 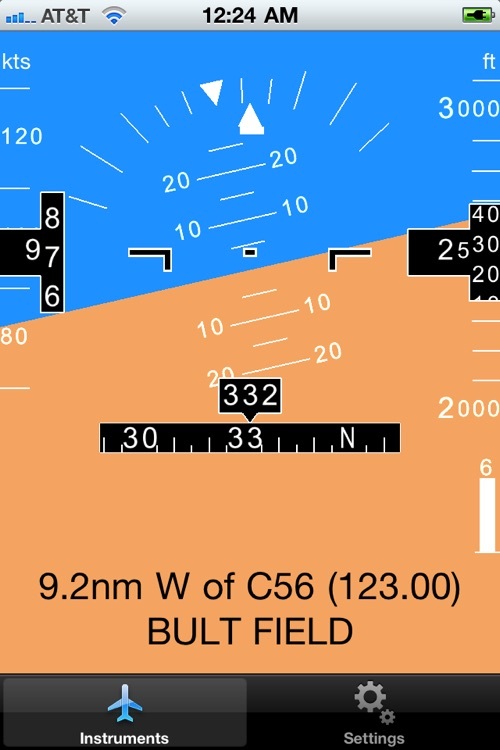 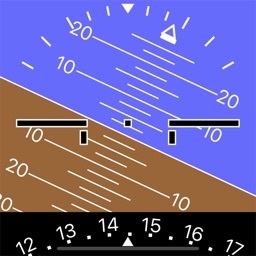 Attitude Indicator and other key flight instruments on your iPhone or iPad, using the iPhone 4 and iPad2's built-in gyros and GPS. 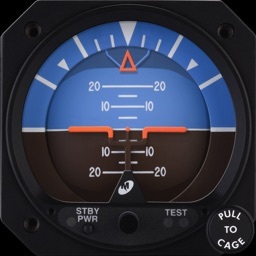 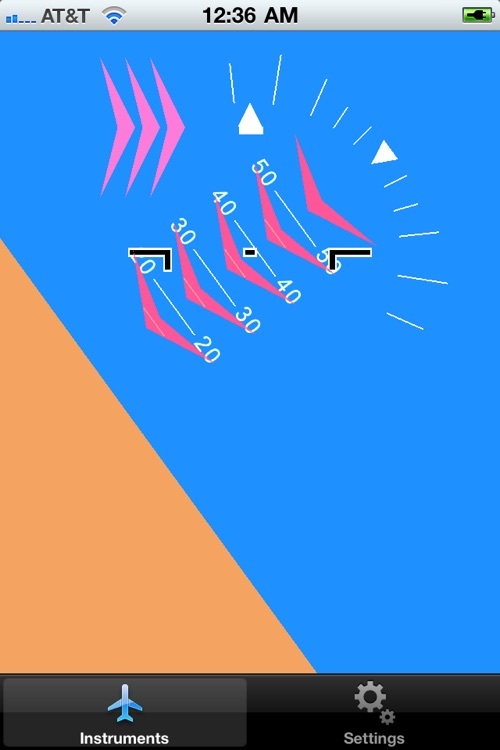 IMPORTANT: Engine vibration can cause problems: mount the device such that it is least exposed to vibration, 'level' the attitude indicator in level flight (tap the AI center) and allow time for it to auto-calibrate while flying level. 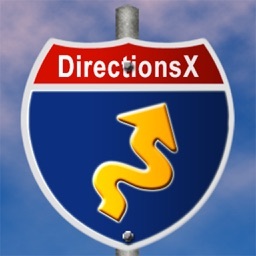 DEVICE LIMITATIONS: For iPhone3GS and iPad 1 with GPS, attitude is derived from GPS instead of gyro sensors, because those are only available in the iPhone4, the iPad2 and the new iPod Touch. 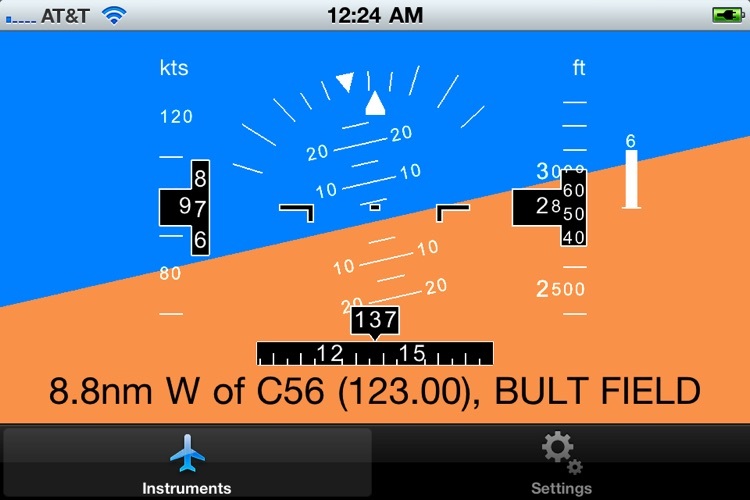 For iPads and iPods without GPS, we recommend plugging in an external GPS such as Bad Elf, because without GPS there is no valida altitude, speed, heading or position information available, and attitude indication will be degraded.